Comprised of medical students, AWS Medical Student Committee works on student programs and issues. Here are the members of the 2018-2019 committee. Learn more about AWS committees. 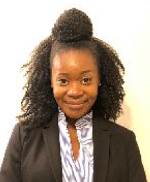 Faith is a fourth year medical student at Harvard pursuing a career in academic neurosurgery with specific interests in neurooncology, global surgery, and health systems research. During college, Faith cultivated her interests in surgery, oncology, and global health as she conducted breast cancer research and led medical missions in Honduras, Panama and Ghana. She then completed a research fellowship in tumor immunology at the National Cancer Institute. During medical school, she led global surgery research in Rwanda and multiple research projects in neurosurgery. This past year, Faith obtained an MSc in Global Surgery at King’s College London to deepen her understanding of transnational neurosurgical practices and challenges. Furthermore, Faith has been dedicated to empowering women to realize their surgical goals. In AWS, she served as Co-President of the Harvard chapter, New England Regional Representative, Vice Chair of the National Medical Student Committee, and the International Representative during her year abroad. She is excited and honored to serve as current Chair of the committee as AWS continues to affect positive change. Extracurricularly, Faith loves running marathons, scuba diving, traveling, and learning about wine. Ashley is a third year medical student at Duke, where she fully embraces her new identity as a Cameron Crazie. As an undergraduate at Johns Hopkins, she was involved in cystic fibrosis research at the Center for Nanomedicine. After college, she joined Teach for America and taught middle school science in Seattle, WA. She enjoyed mentoring brilliant-minded youngsters through the ups and downs of middle school and currently works with undergraduates through Duke Med Mentorship Advisory. Now in her research year, she is pursuing a degree in Master of Health Sciences in the NIH-Duke Clinical Research Training Program. She plans to train as an academic cardiothoracic surgeon and improve the care of patients with end-stage heart and lung disease. In AWS, she served as the Southeast Regional Representative this past year. She is excited to work with her partner in crime, Faith, and support other members of the committee to see their collective efforts come to fruition. In her spare time, she enjoys travelling and playing volleyball. 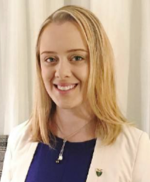 Sarah’s passion for surgery originated during her training as a physician assistant, and after graduating she went on to medical school to pursue her dream of becoming an academic surgeon. Sarah plans to apply to general surgery programs and is particularly interested in hepatobiliary and pediatric surgery. She is currently spending a year conducting research in a laboratory of Yale’s Pediatric Surgery Department. Her research interests include intestinal failure and short bowel syndrome, and she studies the role of serotonin and acetylcholine in the regulation of intestinal mucosal homeostasis. She is also a Juilliard-trained violinist and is interested in the role of music therapy in the pediatric population. She has recently begun learning Krav Maga along with sewing and fashion design. Jane is a fourth year medical student at Johns Hopkins. Originally from New York, she attended Yale where she studied both art and molecular, cellular biology. Afterwards, she went to the Rhode Island School of Design for her MFA. She is currently taking a research year working as part of the Epidemiology Research Group in Organ Transplantation before applying into general surgery. She also enjoys making and thinking about weird art, watching old or unpopular films, cooking with berbere, listening to hip hop and RnB, and being a good plant parent. 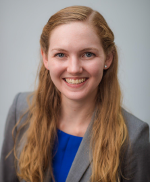 Cheryl K. Zogg, MSPH, MHS, is an MD-PhD Candidate at Yale School of Medicine and Yale School of Public Health, where she is currently working on her PhD in health services research. 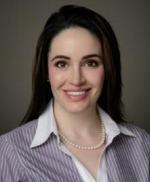 She is a research fellow with the Solomon Center for Health Law and Policy at Yale Law School and the Center for Surgery and Public Health at Harvard Medical School (Brigham & Women’s Hospital). This summer, she is enjoying time at Oxford University as a visiting research scientist studying National Health Service health policy roll-out throughout the UK. 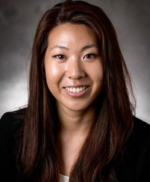 Her research interests lie in the intersection of health policy and quality as it pertains to outcomes of surgical patients and differential access to care. She is a grant-funded researcher with more than 80 peer-reviewed papers who in 2018 was recognized for her research in Forbes 30 Under 30 Healthcare. She has been an active member of AWS since 2016 and is excited to be a part of the national board. In her spare time, Cheryl is an avid dancer, runner, theater enthusiast, and bookworm. She plans to pursue a career in academic surgery. Camila is originally from Curitiba, Brazil. She is a fifth-year medical student at Universidade Federal do Paraná in Brazil, and serves as general coordinator of a Trauma Surgery Interest Group at her institution. In her third year of medical school, Camila received a one-year scholarship to study Biomedical Sciences at the University of California, Los Angeles. Subsequently she worked as a research student at Beth Israel Deaconess Medical Center studying pancreatic cancer, hepatobiliary surgery outcomes, and patient education. Camila is passionate about pursuing a career in academic surgery and is very active in AWS. She is a member of the Publications and Communications committee, and is currently the Communications Chair of the National Medical Student Committee. 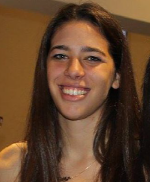 Outside of medicine, Camila is an avid tennis player and enjoys playing the piano. You can find her on twitter at @camila_guetter. 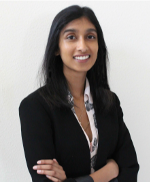 Uma Parikh is a second year medical student at Baylor College of Medicine. 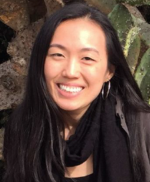 She completed a degree in Genomics and Computational Biology at Wash U, where she also conducted research in traumatic brain injury in veteran populations and cultivated her interests in surgery and global health. Since then, she has led projects in cardiothoracic surgery and in improving surgical systems in low resource countries. Ultimately, Uma hopes to pursue a career in cardiothoracic and global surgery. Caroline is a fourth year medical student at Oregon Health & Science University (OHSU). She grew up in Seattle, Washington and chose to attend George Washington University to study international affairs and global public health. During her undergraduate years,she spent time abroad in both Madagascar and Geneva, Switzerland, which allowed her to further understand how global health and development policy impacts local communities. She then decided to pursue a 5-year MD/MPH program to gain the skills necessary to effectively study and impact health disparities in surgery. Her research interests include pediatric surgical care, surgical outcomes improvement, and development of effective global surgical systems. She hopes to pursue a career in academic general surgery. In her free time, Caroline enjoys running, skiing, backpacking and camping, and is currently eating her way through the Portland food scene. Alice is a second year medical student at Rutgers New Jersey Medical School. Her interest in surgery began during undergrad while shadowing a breast surgical oncologist in New York City. Her current research projects include the assessment of barriers to surgical supply access in Sierra Leone post-Ebola crisis and utilization of palliative care in end stage liver disease. She is passionate about global surgery and working to eliminate healthcare disparities in minority populations. 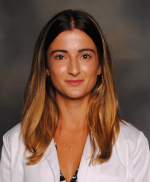 She is keeping an open mind about surgical specialty until third year rotations, but is currently interested in general surgery, surgical oncology, and orthopedics. In her free time, Alice enjoys going to the gym, traveling, and blogging. 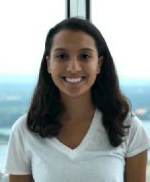 Jihane is currently a second year medical student at UNC School of Medicine. Prior to medical school, she completed her undergraduate studies at UNC Chapel Hill where she obtained a dual degree in Chemistry and Psychology/Neuroscience. Eventually, Jihane seeks to pursue a career in academic surgery where she plans to combine her passions for surgery, research, and mentoring. Outside of medicine, she enjoys running, playing tennis, and watching Carolina Basketball. Nicole is a fifth year medical student at the University of Luebeck, Germany. Since the beginning of her studies, it was her dream to pursue a surgical career. After completing several clinical rotations and internships in different specialties, her heart beats for plastic and reconstructive surgery. During her time in Luebeck, she also had the opportunity to work on experimental studies regarding HNSCC. Beside her interest in preclinical research, she is a dedicated member of the student body. Additionally, Nicole became the local project manager of a student-run initiative, which organizes regular workshops to teach fellow students the culture and communication of the deaf. Being raised bilingually in German and Russian, she knows how precious it is to dismantle communication barriers. In her free time, she enjoys a good cup of coffee in the sun, exercising (skiing or swimming) and visiting motor shows whenever possible. Shaleen Sathe is a second-year medical student at Boston University, where she also completed her undergraduate studies in Medical Science and Spanish. 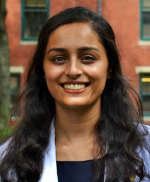 During medical school, Shaleen has been very involved with Socially Responsible Surgery at Boston Medical Center, a non-profit organization that works to integrate the practice of surgery with patient advocacy, education, and addressing health disparities. She also co-leads a Medical Spanish class at her medical school, and continues to research in the fields of ophthalmology, surgery, and addiction medicine. In her free time, Shaleen loves to play the piano and go for a good game of soccer. Blake is in her second year as an MD-PhD student at Harvard Medical School in the Health Sciences and Technology Program. She grew up just outside of Atlanta and attended the University of North Carolina at Chapel Hill, studying public health and biology. She conducted HIV research at UNC both in a basic science lab and with an epidemiology group based in Lilongwe, Malawi, which gave rise to her interest in global health and global surgery. After college, she earned an MPhil from the University of Cambridge, studying the evolution of influenza using computational techniques. She is now building off of this work to earn a PhD in immunology in collaboration with a lab at the Dana Farber Cancer Institute, in addition to conducting research in neurosurgery and global surgery on the side. Long-term, Blake aspires to be a surgeon-scientist in either neurosurgery or orthopedic surgery. Outside of medicine, she enjoys rowing, backpacking, and watching Carolina basketball. Jennifer is a fourth year medical student in McGill University's Faculty of Medicine in Montreal, Quebec, Canada. While in medical school, Jennifer represented McGill University as a varsity athlete, playing basketball and leading McGill to their first national championship in 2017! 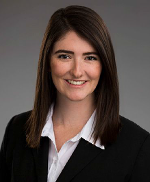 Jennifer plans to apply to Otolaryngology-Head and Neck Surgery programs as she has been inspired by rotations, research and mentors. Originally from Montreal, Jennifer enjoys sports, baking and spending time with her dog, Wally! Vusala is a fourth year medical student at the University of Kansas pursuing a career in Otolaryngology - Head and Neck Surgery. She was born in Baku, Azerbaijan and traveled to Kansas City as a recipient of Future Leaders Exchange Program scholarship at age 17. Throughout her medical education, Vusala has united her passion for research, mentorship, global health and service-based leadership with her academic pursuits. Since her second year of medical school, Vusala has been a founding board director of an educational foundation that aims to promote excellence by providing educational programs and services to prepare students for success. She has been involved with AWS in various capacities since 2015 and looks forward to another productive year empowering women pursuing careers in surgical fields. 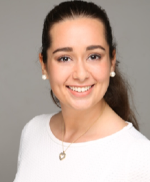 Elisa is currently a third year medical student at Tulane University in NOLA. After receiving her undergraduate and graduate degrees in Human Physiology at Boston University, she spent a year in her hometown of New York City completing a research thesis at NYU which discussed DNA damage leading to infertility. 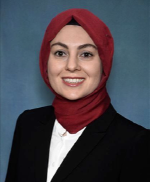 Her specific interests include Plastic Surgery which led her to complete a summer Research Fellowship at NYU where she studied many aspects of Facial Transplantation. She is drawn by the creativity involved in being a successful surgeon and plans to pursue a career in Plastic Surgery. In her free time Elisa loves to explore New Orleans and listen to all the live music it has to offer. She is also an avid yogi and boxer!